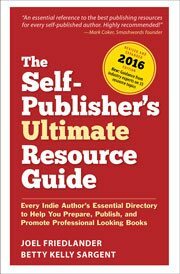 For the last two years, since the launch of BookDesignTemplates, we’ve been getting requests for specialty book templates. We originally launched with only 6 pre-designed book templates for Microsoft Word. They were best suited to novels, short fiction, literary essays, memoirs, and other texts with few formatting needs. Then last year we added a whole range of age-specific children’s book templates. For thousands of authors, these pre-designed templates for Microsoft Word and Adobe InDesign have helped them create good looking, industry standard books in a fraction of the time and at a fraction of the cost it would have taken before. Today we’re answering one of the most persistent requests we’ve had right from the start: Could we provide the same kind of help for authors of poetry books? More than any other literary form, poetic works require almost line-by-line formatting. Poets, in order to best express their art, often create entirely new ways to display poetry on a book page. 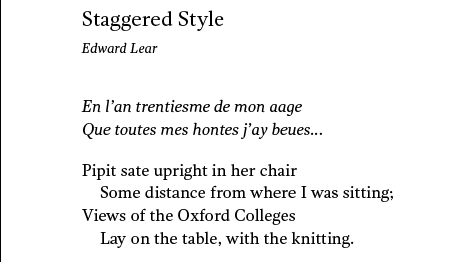 And there are many poetic forms themselves that include in their structure formatting requirements, like Shakespeare’s sonnets with their ending 2-line couplets. Because of the many ways poetry books are formatted, we also created styles for credits that can be used at the end of poems or in conjunction with the poem’s title. There are also different kinds of “stanza” breaks, including several different kinds of stanza numbering. In short, we’ve tried to give you all the pre-set formats you’ll need, no matter what kind of poetry you write, all within one template. If we’ve covered eighty percent of poets’ needs with this template, I’ll consider that a big success. I’m always on the lookout for fonts that will create great-looking books, and which we can also distribute with our templates. For our new Poetics template I found the font you see in the samples above, called Gandhi Serif, and it’s available from Fontsquirrel.com (check out http://www.tipografiagandhi.com/ by Librerias Gandhi S.A. de C.V.). This is a useful family of four fonts. I’m very happy with the new Poetics template and hope many poets will be happy with it, too. To celebrate the long-delayed launch of this template, we’ve reduced the price by 30% on all licenses and bundles. You can get Poetics just for print, for ebooks, or in our money-saving bundles. It’s available for both Microsoft Word and Adobe InDesign in the 5.5″ x 8.5″ trim size. All Poetics templates and licenses are 30% off during the sale. formatting guidance for a poetry books ‘Size of 5.5-8.5″ , Margins ? ?, Page payout ? My book format is 6×9 will your template work? This is exciting, but I have a specific question to see if this would work for my book in progress – The book contains poems or quotations on one page and the other page could be blank verse or regular narrative of my thinking/writing in reference to the quotations (I hope this makes sense). Could your format accommodate both styles? Thanks so much! Leslie, I don’t see why that wouldn’t work. The styles are paragraph-oriented, so you can use them on that basis. There are two separate master pages provided, one with running heads and one without, so you can choose which style you like. If you have any questions, drop a line to our support staff at support@bookdesigntemplates.com and don’t forget to tell them which version you’re interested in: Word or InDesign. I have been waiting for you to do something on formating poetry. People have told me for years that I should publish my poetry. However I will be learning publishing from the ground up. My computer system has always been Apple and I do everything in Pages. I have done newsletters and am used to translating things for the rest of the world who does not use Apple. Pages will export in Word but my question is does your template have the ability to be used in this type of format. Will my Pages program recognize your template and open it in Pages. Many things I have received in Word format when placed on the desktop are recognized in the dialog box as Word and allow me to open it in Pages. Let me know if your templates will work this way and if so then I will be interested in purchasing them. Although I haven’t personally tested the templates in Pages, I’ve been told by a number of our customers that they open without any trouble and work well. Some of the features that depend on MSWord functions may not be available, but that shouldn’t stop you at all, and the books I’ve seen produced by our templates in Pages look terrific. Good luck with your publishing!